ITEA, the EUREKA cluster program supporting innovative, industry-driven, pre-competitive R&D projects in the area of Software-intensive Systems & Services (SiSS) today announced that Philips has won two awards for its impact on the development and adoption of image guided interventions in the field of cardiology and oncology. The Philips-led MEDIATE project has won the prestigious 2018 EUREKA Innovation Award in the category ‘Innovations of Tomorrow’. In addition, the MEDIATE project led to a follow-up ITEA project called BENEFIT, received the 2018 ITEA Award of Excellence. Both awards were presented during the ITEA Event 2018, part of the EUREKA Innovation Days. "We are very proud to receive these awards for the work we have carried out with our partners, contributing to improving the quality and efficiency of healthcare." 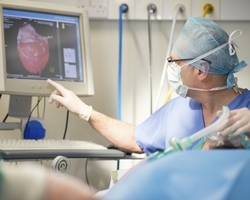 Together with the other project partners, Philips created new and improved imaging procedures, smart tools and an integrated systems architecture in compliance with international standards. 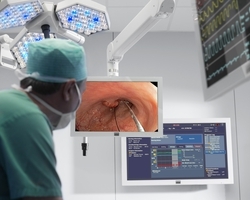 These have been designed to enhance the efficiency, ease of use, and accuracy of minimally invasive procedures. More information about the MEDIATE and BENEFIT projects can be found on the ITEA website. 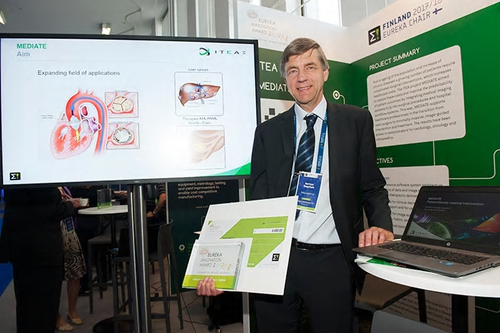 MEDIATE and Benefit project leader Herman Stegehuis of Philips received the awards in Helsinki.